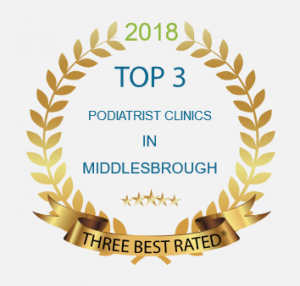 I am delighted to announce that from 3rd September 2018 I will be practising from my brand new clinic in Acklam Hall, Middlesbrough. Appointments will be available on Monday, Wednesday, Friday and Saturday morning in this stunning 300 year old Grade I listed building. With plentiful parking and state of the art facilities, enjoy your treatment and leave with the spring firmly back in your step! Home visits also available where required. Don't hesitate a moment longer. If you have a problem, if your feet are painful, sore or a cause for concern, let me take care of them. I will get to the root of the problem.